If members are unable to attend any of the upcoming AGMs (full details here) then they can cast their Community Connect votes in-store for their preferred good cause group – the window for in-store voting is open from Monday 8 April through to 10pm on Sunday 21 April. 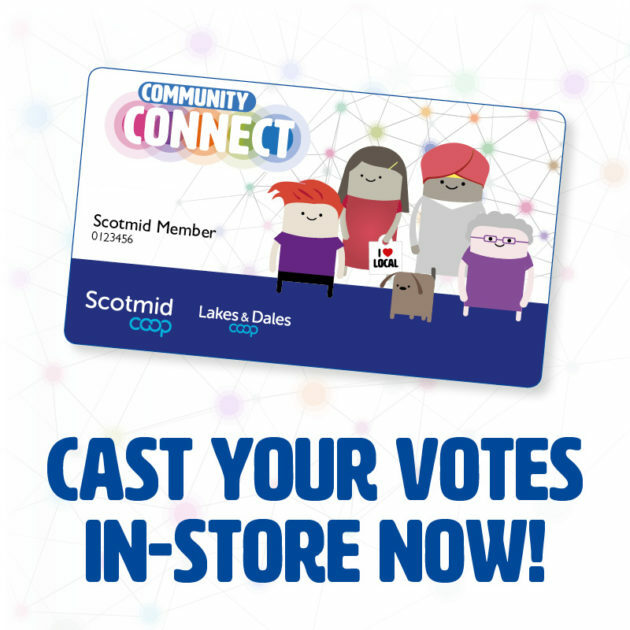 Members can simply present their Community Connect cards at the till then inform the store staff member which of the three good cause groups in their local region will receive their accumulated votes. The good cause groups will be awarded either £15,000, £7,500 or £2,500 in Community Connect funding – the charity with the most votes will receive the largest sum.